2/12/2015�� Some pie recipes call for �blind baking� your crust. No, that doesn�t mean don�t look at it while it bakes! This technique is a way of pre-baking your crust.... When you make a pie with a filling that requires little baking time, such as pumpkin or chocolate cream, pre-baking, or "blind-baking," the crust ensures that your pie doesn't end up soggy and undercooked. The objective was to quickly put together a banoffee pie without going through making the pie crust. But this store bought Graham cracker pie crust comes with some confusing instructions a t the back.... Follow the directions from the earlier post on making pie crust from scratch. After rolling out the crust, press it into a pie plate. After rolling out the crust, press it into a pie plate. Pinch the edges onto the top of the plate, just like I didn�t do above. Frozen crusts can be stored in the freezer for up to two months, so baking a pie is a matter of defrosting, filling and cooking. Depending on what you're baking, you can fully or partially prebake the crust or simply fill and bake. how to delete project android studio In this helpful How To Bake series article, How To Blind Bake (Pre-Bake) A Pie Crust, we cover all the basics when it comes to successfully blind baking (pre-baking) or partially pre-baking (par-baking) a classic 9-inch pie crust using our best pie crust recipes�Perfect All-Butter Pie Crust Pastry and Best Ever Flaky Buttermilk Pie Crust Pastry. In this helpful How To Bake series article, How To Blind Bake (Pre-Bake) A Pie Crust, we cover all the basics when it comes to successfully blind baking (pre-baking) or partially pre-baking (par-baking) a classic 9-inch pie crust using our best pie crust recipes�Perfect All-Butter Pie Crust Pastry and Best Ever Flaky Buttermilk Pie Crust Pastry. 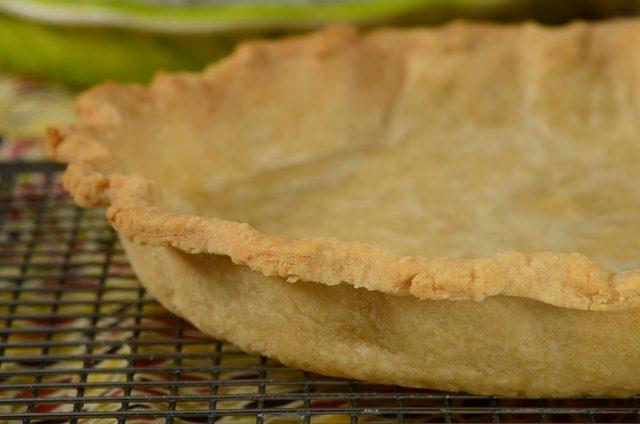 When a pie or tart filling is very wet, the crust must be prebaked before it is filled. This technique is called �blind baking,� and it prevents the crust from becoming soggy. Prepare pie crust according to recipe instructions. Freeze for 30 minutes. Preheat oven to 425 degrees F. Line pie crust with greased foil and fill completely to the top with pie weights or dried beans or rice.